Into the early days of Hayward’s birth, The Ranch Supper Club has always been known for great food and honest cocktails. Originally named The Aladdin in 1931, this historic landmark quickly gained the reputation as a favorite Northwoods stopping place for early lumberjacks, entrepreneurial timber tycoons, and notorious Chicago gangsters of the time. Stories have even circulated of G-men disguising themselves as waiters in hopes of apprehending one of infamous criminals that used to dine here. The 40’s and 50’s saw several different owners come and go, but in 1960 the restaurant gained its current identity as The Ranch Supper Club, complete with bison, a deer farm, a famous sway-back horse and the unforgettable proprietress, Vivian Levinson. She made a definite mark in The Ranch history book and those who knew her will always recall Vivian’s “colorful personality”. In 1987 Beth and Barney Morgan partnered with Cheryl Haupt to run the classic supper club for the ensuing 30 plus years, the longest standing ownership to date. However, September 23rd, 2016 cut their partnership short with the untimely passing of Cheryl. Her truly irreplaceable spirit and knowledge of Hayward’s history will be remembered by us all. 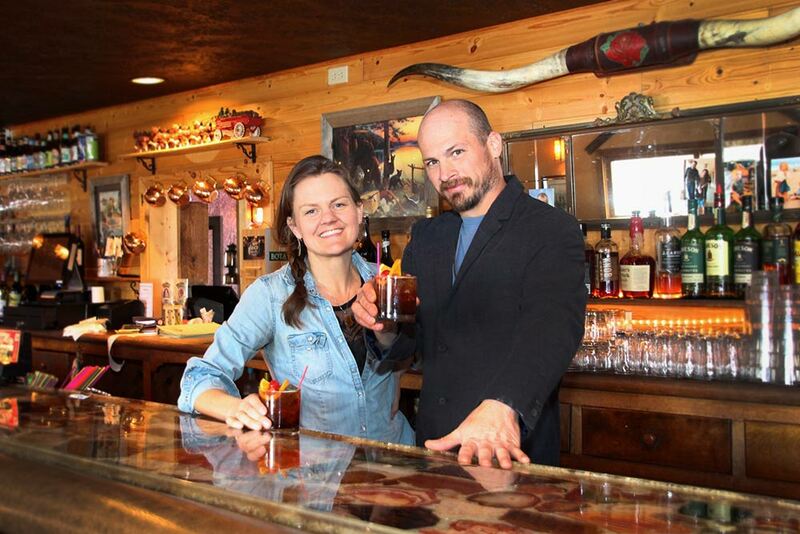 We are happy to keep The Ranch Supper Club in the family with current owners Haley and Nathan Bochler! Haley, the daughter of Beth and Barney, was just five when her parents bought the restaurant and was raised in the family business. Meanwhile, Nathan was living a similar childhood at his family’s restaurant in Park Falls, WI a mere hour away. Years later the two met while attending school in Madison, WI and later ventured west to pursue a life in California. During their 13 years in the San Diego area, the two refined their knowledge of the restaurant industry and found a mutual love for all things involving food and drink! Nathan headed up several premiere restaurants in the city, and was featured on the Food Network during his time at Indigo Grill. He then took a job at Specialty Produce, where he created a unique mobile farmer’s market program in which a fleet of vans visited the area’s top restaurants providing daily farm fresh produce deliveries. Haley found a love and dedication for wine and fine dining and earned her degree as a Certified Sommelier. She led the staff as one of the nation’s few female lead captains at southern California’s only five star and five diamond restaurant Addison in Del Mar, CA. © 2018 The Ranch Supper Club. All Rights Reserved.